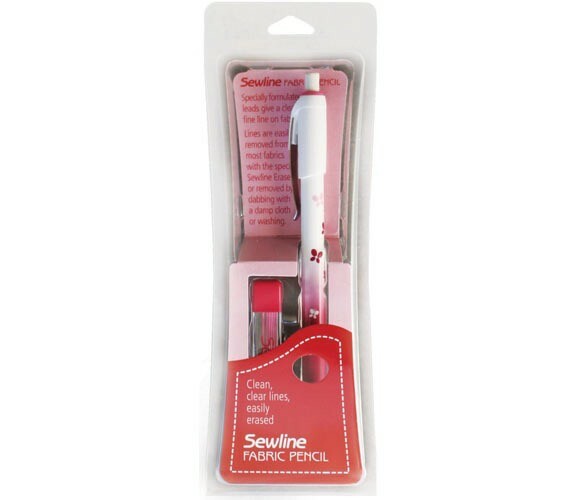 Our top selling mechanical fabric pencil with our special CERAMIC leads gives clear, clean lines that are easily removed from most fabrics with the attached eraser, the Sewline Aqua Eraser or a damp cloth. No more messy chalk or lines you can’t remove! 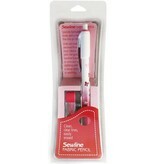 The ceramic leads guide smoothly over fabric with good control.